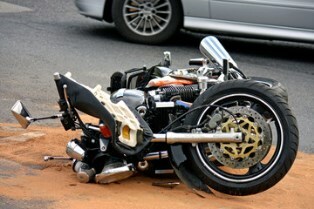 Motorcycle rider stereotypes often makes it difficult for injured bikers to know how to proceed following an accident. If you’ve been hurt in a motorcycle accident, don’t let these five myths keep you from protecting your legal rights. Statistically, the average age of a motorcyclist in the United States is a 48-year-old man with a household income of $85,300. According to the American Motorcyclist Association, 26% of motorcycle owners have a bachelor’s degree while another 16% have completed post-graduate studies. Far from being a weekend thrill, motorcycles are often a form of daily transportation. The majority of motorcycle owners in the United States use their bike at least 100 days per year, with 13% using their bike for 300 days or more and 29% logging over 10,000 miles per year. Although motorcycle riders as a group aren't immune to bad behavior, they aren’t significantly more likely to speed or drive drunk than other motorists. The reason for this misperception may be the media's portrayal of riders as rebellious, and accidents involving bad behavior tend to attract the most media attention. However, motorcyclists typically have the same goal as drivers of passenger cars or trucks—to arrive safely at their destination. In fact, when an accident involves another truck or car and a motorcyclist, the driver of the other vehicle is most likely to be found at fault for the incident. There's no doubt that riding a motorcycle can be dangerous, but the majority of motorcyclists take every precaution to make sure they arrive at their destination safely. They take defensive driving classes, obey traffic laws, and strive to respectfully share the road with others. With improved safety features on modern motorcycles and a greater understanding of safe riding practices, the number of accidents continues to fall each year. In 2013, the most recent year for which National Highway Traffic Safety Administration (NHTSA) statistics are available, there were 4,668 motorcyclists killed in traffic accidents—representing a decrease of 6% from the previous year. There were an estimated 88,000 motorcyclists injured during 2013—representing a 5% decrease from the previous year. Of all the motorcycle myths, this one is perhaps the most harmful. Motorcyclists have every right to be on the road and are afforded the full protection of the law when they've been involved in a truck accident or car crash. If you've been hurt in a motorcycle accident caused by another party's negligence, you're entitled to seek compensation for your medical expenses, lost wages, and pain and suffering. Don’t let outdated stereotypes keep you from protecting your legal rights and safeguarding your financial future. If you were partially at fault for the accident, you can still collect compensation for your damages. However, your settlement will be reduced by your assigned percentage of fault. For example, if you were determined to be 30% at fault for the accident and would normally have been awarded $100,000, you’d receive $70,000 to represent the other party’s liability for the accident. Although you don't need a personal injury attorney to seek compensation following a motorcycle accident, retaining legal representation is the best way to ensure your rights are protected throughout the settlement process. Insurance companies are focused on protecting their bottom line, which means they're reluctant to settle claims for what they're truly worth. Your attorney can negotiate with the insurer on your behalf and line up evidence to support your case. Is the 'no-pay/no-play' statute too tough? Can I still receive compensation if my injuries don't appear immediately?